After a busy week of combine play and endless speculation about the future of the 250 players eligible for selection by MLS clubs at the 2017 SuperDraft, two former League1 Ontario players - ANB Futbol's Adonijah Reid (2015 Young Player Of The Year/ 2015 Joint-Golden Boot), and Sigma FC's Kwame Awuah (2016 League1 All-Star) - were among those successful in getting their first professional contracts. New York City FC's technical staff, led by France and Arsenal legend Patrick Viera, and Claudio Reyna, traded $75k of GAM (General Allocation Money) to Seattle Sounders to land Sigma's Kwame Awuah - the well-balanced flank player going 16th overall at the draft. "Kwame is excited to be in New York," said Sigma FC technical director, Bobby Smyrniotis. "He went to school at UCONN only a couple hours away from NYC and he has family there so that will help for an easier transition." "He is excited of course like every player would be but understands that the excitement must make way for hard work on the field." 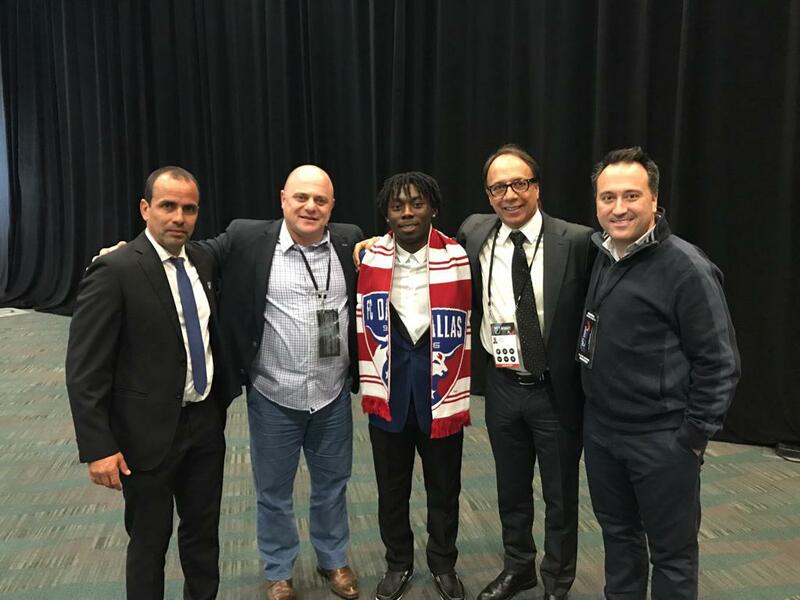 FC Dallas were next to demonstrate their interest in a League1 grad, with the ANB Futbol and Generation Adidas Canada 17 year old forward Adonijah Reid catching the eye of manager Oscar Pareja and technical director Fernando Clavijo. "Adonijah was drafted to a team which builds their future on young talented futbolers" said ANB technical director Bassam Naim. "Adonijah is ecstatic and looking forward to a brand new life and futbol experience. He was so happy to hear his new coach saying that giving opportunities to young talented futbolers are part of his plans." The technical staff from both ANB Futbol and Sigma FC were on hand to hear the names of their players called among the few that come away with a contract on draft day. For ANB Futbol's Bassam Naim it was not his first time at the Superdraft, having attended as a spectator in previous years, but it was a debut occasion to have one of his players among the hopeful. "I have been there several times in the past 20 years a spectator only, but yesterday I was there for the first time as a proud coach who is about to witness the draft of the youngest player in the 2017 combine to an MLS organization." "I attended the MLS combine for the first time and I must admit that the level of organization is top class," he continued. "From players and guests accommodation to live streaming of the 2017 combine games. All six games were hosted at the Stub Hub Centre the official stadium of LA Galaxy." 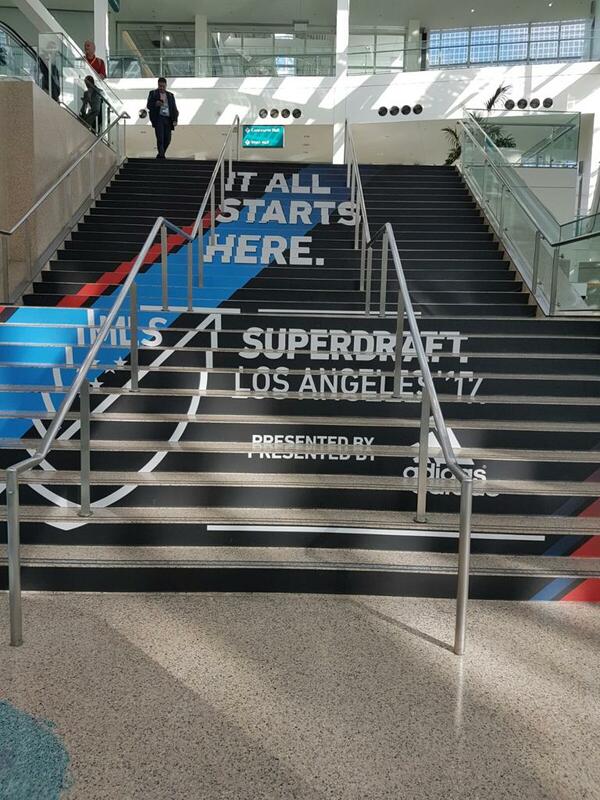 In Sigma FC's case, the annual SuperDraft must be starting to feel like a second Christmas. With previous graduates like Cyle Larin and Richie Laryea having been drafted in 2015 and 2016 to Orlando City, the Mississauga-based academy's production of yet another MLS professional in Awuah is just further proof that Smyrniotis and his staff are among the best at pro player development in Canada. "It was a fantastic day for Kwame and all of us at SIGMA FC," said Smyrniotis. "This was not our first day at the draft so we knew what to expect going into the day and we're aware of where the interest was especially from NYC FC." "The club showed a commitment to Kwame by trading to get up in the draft to land his services and that says a great deal," he explained. "We are very happy with where he will get his start as a pro as they are a very good club with top infrastructure and a very good coach who can work with young players." "It is a great spot for Kwame but like all players the hard work begins now to go into camp and prove his ability day in day out with the pros." Only 88 players are ultimately awarded contracts over the four rounds of 22 selections per round. With the first two rounds in the books from Friday, the third and fourth rounds remains for the players remaining. Sigma FC actually has two more players - Chris Nanco (Syracuse University) and Alex Halis (Grand Canyon University) - in the draft and hoping to hear the names called on Tuesday. "Overall as an organization we are very happy once again to have one of our players move on to the next level," said Smyrniotis. "We look forward to a couple more of our players landing in a respective club over the next few days with Nanco and Halis on the radar of many clubs," he added. "But beyond everything I am happy that our hard work as SIGMA with our players over the years like [Kyle] Bekker, [Emery] Welshman, Larin, Laryea have paved the way for more Canadians to be considered for the draft and having the opportunity to further their soccer careers."